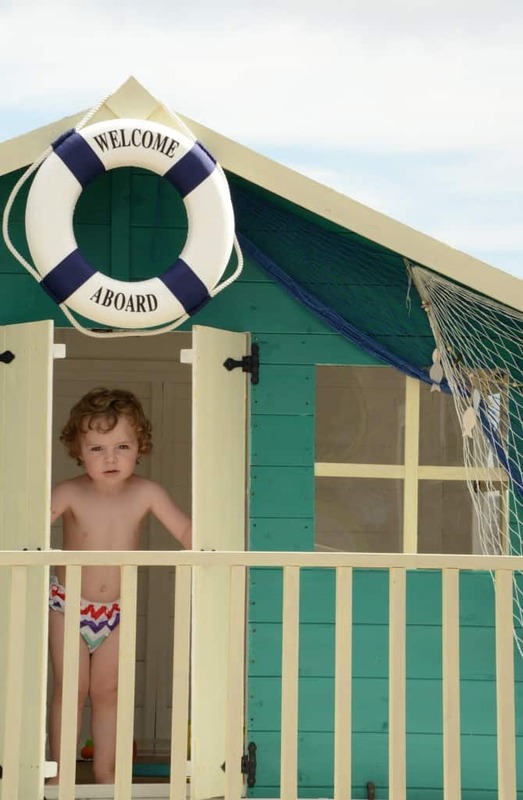 Gemma’s playhouse wouldn’t look out of place at any British seaside. 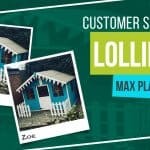 The Lollipop Max has been painted in a vibrant turquoise and kitted out with charming beach hut decorations. 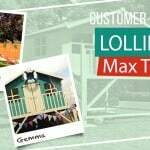 “Garden Buildings Direct ticked all those boxes and showed clear photos of what we were getting.” says Gemma. 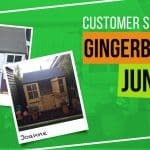 “My husband and I were looking for something that was good quality but also within our price range. 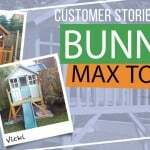 We knew there would be days stuck at home with a newborn and we needed something to keep our two-year-old entertained.” She says. 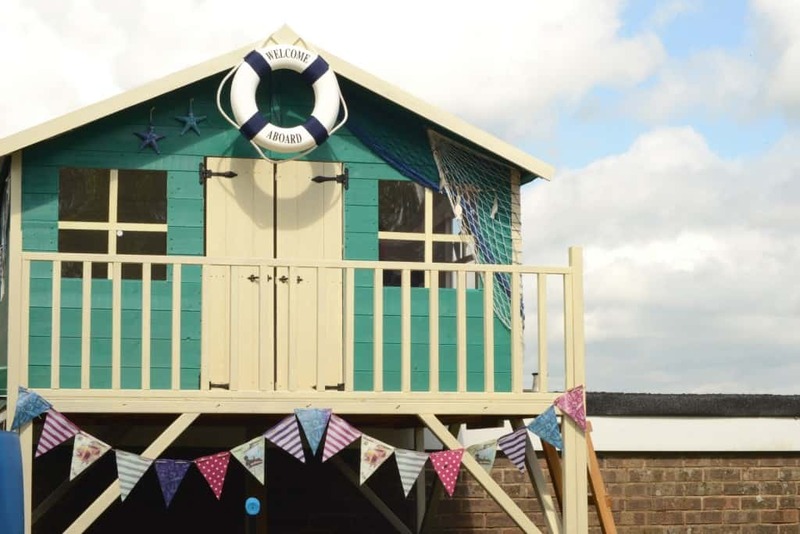 A “Welcome aboard” sign, fishnets, and starfishes made Gemma’s playhouse the kind that little boys would want to have. 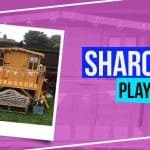 “We have recommended you to friends and family when they ask where our playhouse is from.” she said. The captain of the ship on the look out for his crew. 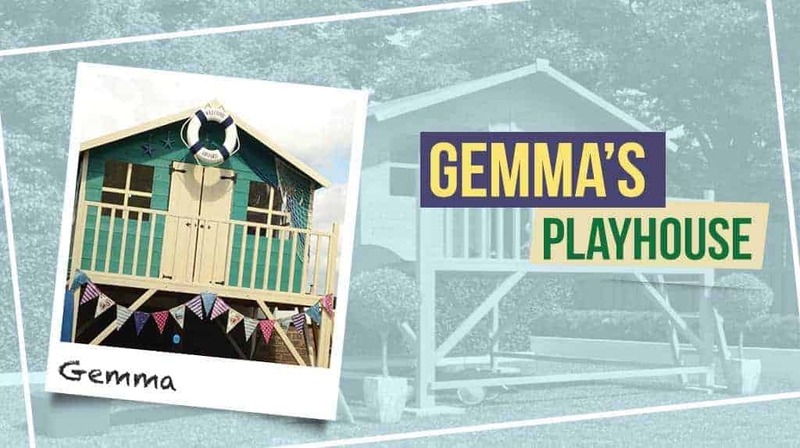 If you feel inspired by Gemma’s beach-hut-themed playhouse, shop our wonderful range of playhouses.